Pardon my shameless self-promotion today, but I’m really excited to share that my latest book, The Cowboy’s New Heart, is now published! This is the fifth and final installment in the Grass Valley Cowboys series. 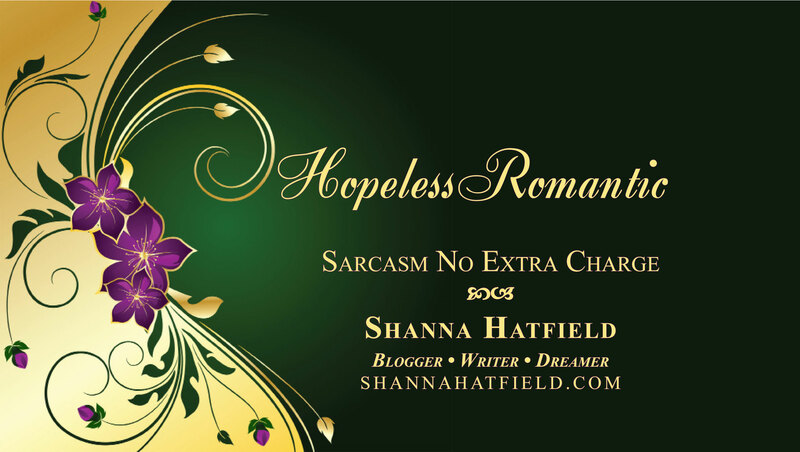 I hope you all enjoy Hart and Denni’s story as much as I enjoyed writing it! Happy Reading and Happy Monday! 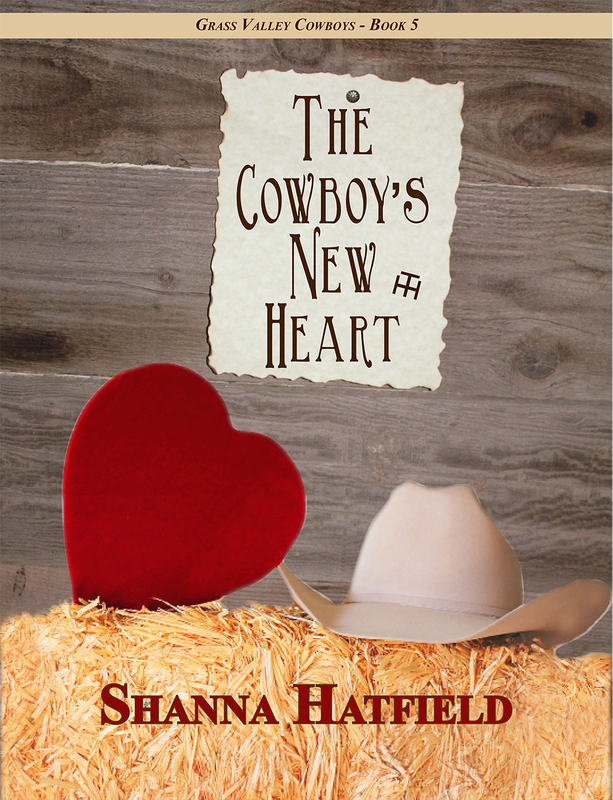 The Cowboy’s New Heart – Years after her husband died unexpectedly, Denni Thompson can’t bear to think of giving her heart to anyone else. With three newly married sons, a grandchild on the way, and a busy life, Denni doesn’t give a thought to romance until she meets the handsome new owner of Grass Valley’s gas station. Former bull-rider Hart Hammond spent the last twenty years building up a business empire while successfully avoiding love. He buried his heart the same day he made his last bull ride and has vowed to never make the mistake of loving a woman again. Then he meets Denni Thompson, the beautiful mother of the fun-loving Thompson tribe. Can a broken-hearted widow and a heartless cowboy find love? Holding sharpened scissors in a skilled hand, Denni Thompson quickly snipped through a piece of bright purple cotton fabric, following the pattern she was cutting with speed and precision. Glancing up as the bell above her quilt-shop entrance jingled, she sucked in her breath, thinking for a fleeting moment that her Drew was walking in the door. Blinking hard, she put on a tender smile to greet her oldest son. “Trey, what are you doing here?” Denni asked, carefully placing the scissors in their holder behind the counter and walking around it to embrace the strapping man who looked like a replica of his deceased father. From the top of his black Stetson to the toes of his well-worn cowboy boots, Trey was the spitting image of Drew Thompson. His eye color was the only thing that distinguished him from the man Denni loved for thirty years before he died way too young. “Can’t I drop by to see my mom without making her think I’m up to something?” Trey asked, his bright turquoise eyes twinkling with life and good humor. “Since the weather is nasty and Cady was feeling cooped up, I promised we’d come into town just for fun,” Trey said, leaning against the counter and pushing up the brim of his hat with his forefinger, a habit that made Denni’s heart catch. It was a move Drew executed thousands of times during his lifetime. Admitting her thoughts had been as gloomy as the January weather before Trey walked in the door, she was hoping time spent with him would cheer her up. Although everyone thought her youngest son Travis was her favorite, Trey was her first-born and the one most like his father. For that reason alone, she knew he would always hold a very special place in her heart. “What’s eating at you, Mom? You’re usually full of pep and sass, but you seem sad today,” Trey said, studying his mother. Although she was nearing her mid-fifties, she looked much younger with her stylish blond hair, trim figure and snapping blue eyes. The laugh lines that fanned from them were the only thing that kept her from looking the same age as her three daughters-in-law. Today, though, there wasn’t a hint of a laugh or even a real smile. “Nothing,” Denni said, gathering her purse and coat from behind the counter where she kept them and locking the cash register drawer. Her afternoon help wouldn’t arrive until one, but she didn’t mind closing for an hour to have lunch with three of her favorite people. Thinking about the quilt shop she now owned, Denni reflected on how much her life had changed from her days as a young ranch wife in Grass Valley to a widow running a store in The Dalles. When her husband first died, Denni fought to keep going. She finally realized she had to get away from the ranch where memories of Drew haunted her every time she turned around. Moving to The Dalles, she went to work managing a friend’s quilt shop. With a love of sewing, quilting, and crafts, the store was the therapy she needed to manage her grief and get out of bed each day. Last fall, her friend announced she wanted to sell the shop, so Denni bought it without hesitation. Making a few changes, she was increasing sales and enjoying the responsibility of being a businesswoman. She was finally putting the degree Drew made her get in business management to good use. Sighing, Denni slipped her arms into the sleeves of the coat Trey held for her. She started toward the door but his hands settled on her shoulders before she took more than a few steps. Turning her around, he wrapped her in a warm hug and she hugged him back, holding him tightly. “Thanks, honey. I needed that today,” she said, stepping back and plastering on a wobbly smile. Brushing at a wayward tear, she squeezed Trey’s hand and started for the door again. “You’re thinking about dad, aren’t you?” Trey asked as he opened the door and turned the sign to closed. Denni checked the lock after Trey closed the door then took her son’s arm as they strolled down the street toward a bistro. “How did you know that?” Denni asked, startled by Trey’s perceptiveness. Maybe being married for a year had given him a new insight into how women thought and felt. “You always get this far away look on your face and you practically wince when you see me,” Trey said, matter-of-factly. He was aware just the sight of him sometimes brought his mother as much pain as it did joy. He never doubted for a minute that she loved him, but he knew it was hard to see him when he looked so much like his dad. “I know, Mom. We all miss Dad. We always will, but don’t you think it’s time you moved on?” Trey asked as they stood waiting for traffic to pass so they could cross the street. Bending down, Denni held out her arms to Cass and engulfed the energetic little girl in a big hug. “How’s my favorite six-year-old on the planet?” Denni asked, giving Cass a kiss on her cheek. “I’m great, Grammy. Mama got me a new fairy book. Want to see?” Cass said, pulling a book out of the bag she carried and handing it to Denni. The sparkly cover with splashes of pink and purple would certainly have caught Cass’ attention. The child absolutely loved glitter and fairies. “Maybe we can read this after lunch. Do you think your Mom and Dad would let you come to my store for the afternoon?” Denni asked, taking Cass’ hand and walking in the restaurant door Trey held open. “I’m not a chatterbox, Daddy,” Cass said, giggling as Trey reached under the table and grabbed her jiggling foot. “Are you sure?” Trey teased, grinning at his daughter. “Yep. Uncle Trent said I couldn’t be a chatterbox because I’m really a goofball,” Cass said, looking around the restaurant with wide blue eyes, taking in everything. “That you are,” Denni said, tweaking Cass’s little button nose. She loved this child as much as if she’d been born into the family. Raised by an alcoholic mother in poverty, Trey and Cady took Cass in when her mother died. At the time, Cady was Trey’s housekeeper and cook, but they worked together to gain custody of the child and then adopt her, squeezing in a wedding between the two events. Married for only a year, Trey and Cady didn’t have many opportunities to spend time alone. Between ranch responsibilities, family obligations, and trying to provide Cass with a sense of security and stability, the couple rarely spent time alone. Denni wanted Cass to stay with her not only because she loved spending time with the precocious child, but also because she wanted Trey and Cady to have a few carefree hours to enjoy each other. Although her three sons worked hard to make sure the Triple T Ranch was solid and successful, Trey was the one who seemed to shoulder the bulk of the responsibility. Everyone looked to him for guidance, leadership, and direction. He was much like his father that way. Cady arrived at the ranch serious and professional in demeanor, but living at the Triple T seemed to bring out a more relaxed, playful side in Denni’s beautiful daughter-in-law. Cooking and cleaning for all the family, as well as the ranch hands, kept the young woman hopping from early morning to late at night. All the more reason Trey and Cady needed some time for fun. Placing their orders, they chatted about Denni’s store, Trey’s grandmother, Nana, his cousin’s upcoming wedding to one of their very good friends, and life on the ranch. Moving into town, Denni missed so many things about Grass Valley. She missed the sense of community, she missed friends she’d had for more than thirty years, and she really missed the open spaces and big sky at the ranch. “Mr. Hammond gave us new swings,” Cass said, interrupting Denni’s musing as she sucked the last of her milk through a bright pink straw. “Yep. They’re awesome. You can go up, up, up way high in the sky,” Cass said shooting her little hand up in the air and zooming it back down, imitating the motion of a swing. “I bet I go up as high as Uncle Trent’s head!” Cass said, comparing her swinging abilities to her uncle’s six-foot five-inch height. “My goodness. That sounds like fun. And you say Mr. Hammond gave them to you?” Denni asked, looking at Cady for an explanation. Hart Hammond moved to Grass Valley before Halloween, buying the run-down gas station and giving it new life. He added a coffee counter, along with a variety of snacks, and made it one of the nicest of the many Renegade gas stations he owned throughout the Northwest. The fact that he bore a striking resemblance to Jon Bon Jovi and always seemed to wear a friendly smile was not lost on Denni. For a man who had to be in his fifties, he was wickedly handsome and obscenely fit. Apparently, he was also a bit of a philanthropist. “I didn’t know that,” Denni said, irritated with herself for being interested in anything Hart Hammond did. She first met him at the ranch when Travis took it upon himself to invite the man for Thanksgiving dinner. Cady and Travis’ wife, Tess, made sure Denni sat right across the table from him. How could she help but notice his blue eyes, easy smile, and that darn cleft in his chin. “He also said…” Trey stopped mid-sentence at a glare from his mother. Today was evidently not the day to expound on all of Hart Hammond’s many fine qualities. He wondered what Hart had done to get on his mother’s bad side. She generally liked just about everyone. “That’s a lot to ask of you,” Cady said, although a hopeful glimmer sparkled in her hazel eyes at the prospect of having her husband all to herself for the rest of the day. “I’m sure you will, sweetie-pie,” Cady said, smiling as Cass hugged Trey then climbed down and wiggled excitedly. Walking out of the restaurant with a wave at several people she knew, Denni took Cass’ mitten-covered hand in hers as they stood waiting to cross the street. “Can I help cut and sew today, Grammy?” Cass asked, excited at the prospect of spending time in her grandmother’s store. Denni always gave her some scraps to play with and Cass had a fine time pretending she was quilting. “I think that’s a great idea, honey,” Denni said as they hurried down the sidewalk. Cass hopped from one foot to the other, holding her new fairy book, while Denni unlocked the door. She turned the sign from closed to open, helped Cass remove her coat and took off her own. Digging in her scrap bin beneath the counter, she looked up when the bell above the door jangled and smiled as her assistant manager breezed in. “Hi, Amy,” Cass said, running around the counter to give her grandmother’s employee a hug. “Yep. And I get to spend the night, too,” Cass said, twirling back and forth while Denni dug through the scraps, picking out pieces for a project she thought would interest Cass. “Looks that way,” Denni said, watching as Cass explored all the displays in the store. Small for her age, Cass was bright, lively, and extremely active. A head full of red curls and big blue eyes gave her the look of a doll, but Denni knew there was a livewire under the sweet façade. “Thanks, Amy,” Denni said, gathering up the fabric pieces she’d selected and stuffing them in her purse. She put on her coat and then called to Cass. Helping her put on her outerwear and making sure they didn’t leave behind the new fairy book, Denni waved at Amy with another word of thanks as she and Cass walked out to her car. It was a quick five-minute drive to her house where she and Cass decided to have a tea party. Denni made tea while Cass spread peanut butter and jelly on slices of bread. “We can’t have a tea party without hats,” Denni said, going to the guest bedroom and digging around on a shelf until she found a couple of hats that belonged to her mother years and years ago. Setting a white straw hat on Cass’s head, Denni placed a navy pillbox hat on her own and sat down at the table with Cass. Playing along with Cass’ pretend game of being fairies having a tea party in their garden, they finished their tea and sandwiches. While Denni washed their cups and rinsed the plates, Cass hopped up and down Denni’s short hall, studying the photos on the walls. “How come my daddy looks funny in this picture, Grammy?” Cass asked as she stared at a large portrait on the wall. Sticking her head around the corner from the kitchen, Denni sighed and walked over to Cass. She picked up the child so she could get a better look at the picture. “How come I haven’t met him?” Cass asked, looking at the picture with interest. Denni hugged Cass, knowing with her broken heart she’d never again be as happy as she was all those years she spent with Drew.